Our new bone-shaped rack with six acrylic bins will provide you with a sleek new look, as well as closable bins, labels for each of our bulk treat flavors, and a holder for the new Darford Grab n Go bags. Measuring only 61” tall x 17.2” wide x 27.4” deep, this bulk rack makes a small footprint but a BIG impact with customers. 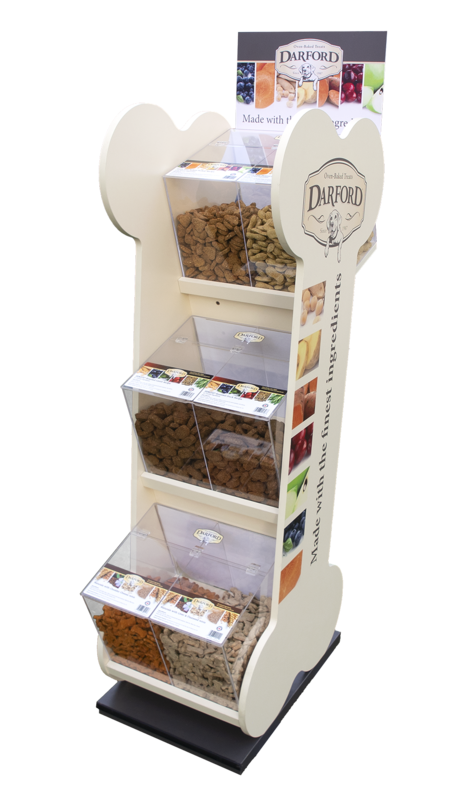 Free when ordered with 12 cases of bulk Darford treats. See the corresponding online order sheet or contact your distributor directly to order.